Do you have a black cat? Are you looking for the perfect name for your black cat? 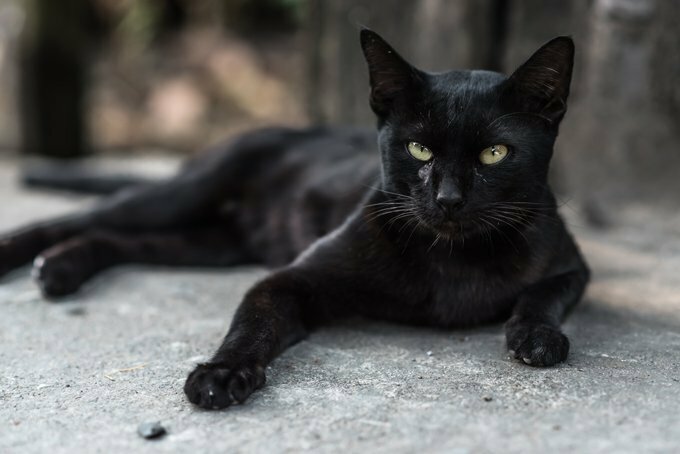 Black cats have quite a history in the world’s folklore. We’re all familiar with the old story that a black cat crossing your path can bring bad luck but did you know it is also said that: Dreaming of a black cat is lucky; finding a white hair on a black cat brings good luck; in Asia and the U.K. a black cat is considered lucky? We believe black cats are beautiful and very lucky indeed! Black cats are less likely to be adopted so please consider adopting one from your local shelter. Here are the best names for a black cat complete with beautiful pictures! Did you know that sailors use to take cats on long voyages to keep the mouse population under control and that black cats were considered particularly lucky on a sea voyage? There is no one particular black cat breed. As a matter of fact 22 different breeds of cat can have black fur! In Nekobiyaka in Himeji, Japan there is a cat cafe devoted to all black cats! Do you have a favorite black cat name? Post a comment and let us know what it is. Black cats are particularly in danger around Halloween – learn how to keep your black cat safe!